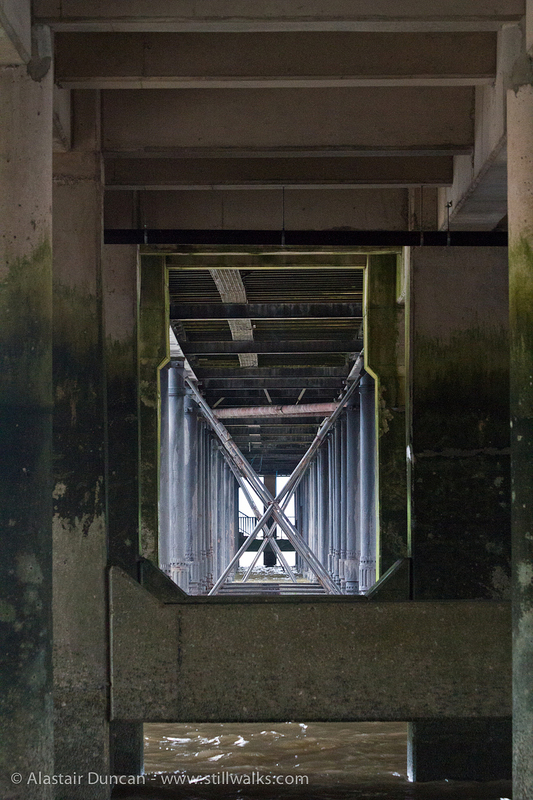 Exploring underneath Penarth Pier at high tide is not necessarily a good idea. Capturing these alternative views of the pier structure meant I had to leap out of the way of the water at the last moment. As has happened on other occasions, when taking photographs, I forgot about the time I was taking. 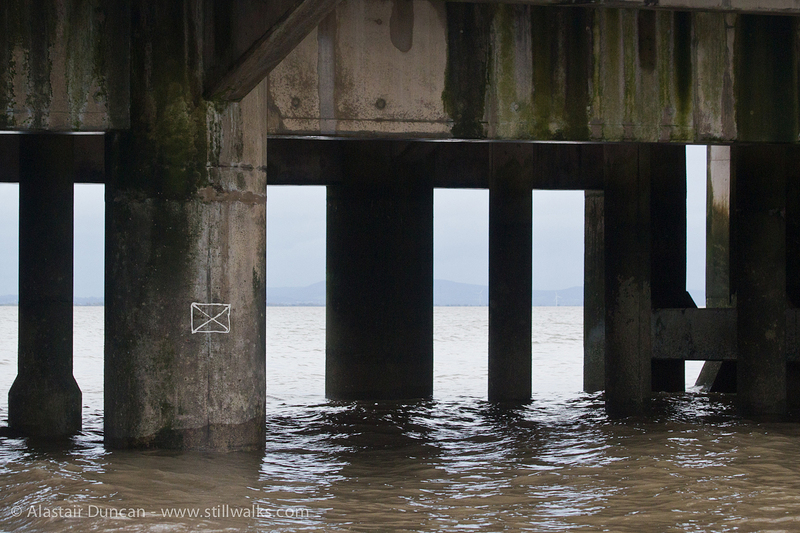 Posted in Architecture, Photography, Seascape and tagged architecture, concrete, pattern, Penarth Pier, photography, sea, structure, tide, time, wales. Reminiscent of the old ‘video feedback’ or room full of mirrors. . . great composition. . . it echoes!